This upper-level textbook offers an original and up-to-date introduction to issues in corporate social responsibility (CSR) from a global perspective. Written by an international team of experts, it guides students through key themes in CSR including strategy, communication, regulation and governance. 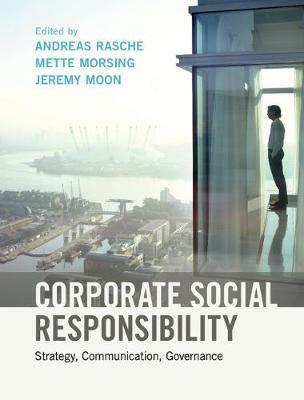 Balancing critiques of CSR with a discussion of the opportunities it creates, it includes chapters devoted to critical issues such as human rights, anti-corruption, labour rights and the environment. Pedagogical features include customised case studies, study questions, key term highlighting, practitioner pieces and suggestions for further resources. The book is also complemented by a companion website featuring adaptable lecture slides, teaching notes for cases and links to related resources. Tailored for upper-level undergraduate and postgraduate courses on corporate social responsibility, sustainability and business ethics, it is also relevant to non-business courses in political science, international relations and communications.